LOS ANGELES, Calif. /California Newswire/ — Carolwood Equities, a privately-held, fully-integrated real estate investment company, just closed a deal for an impressive return and the firm's founders, Andrew Shanfeld and Adam Rubin, partners, say it's just the beginning. One year ago, they, along with a group of investors purchased a 56-unit apartment complex in Charlotte, N.C. The firm just sold the property, yielding an impressive 81 percent return. "Andrew and I met in high school, but then went to different colleges," Rubin says. "After college, we re-connected in New York City and put the plans in motion for Carolwood Equities. We'd talked about it for years and our first deal was a great success." These two 23-year old principals are no strangers to the business world. Rubin is the son of Nathan Rubin, a Los Angeles cardiologist and principal of parking conglomerate the L & R Group of companies which operates under the name Joe's Auto Parks in downtown Los Angeles and Wally Park, a national airport parking operator. Shanfeld's father is also a prominent real estate investor in West Los Angeles. When the partners and their investors purchased the Charlotte apartment complex, it was in disrepair. With the help of Rra Shannon, the onsite property manager, the interiors were completely renovated; they put in new landscaping, installed a security system and re-branded the property which included changing the name from Bent-Oaks to Dewberry Townhomes. "Rra oversaw the whole transition and was instrumental in seeing this project through to its successful conclusion," Rubin says. By researching these markets, stressing selectivity rather than volume and thriving in complex situations, Carolwood Equities will continue to deliver unusually high returns at minimal risk to its limited partners. The company's proven ability to both accurately underwrite transactions and implement management strategies allows the firm to yield strong risk adjusted returns to its investors. "We make good investments," Rubin says. "We're young, we provide quick turnaround times and impressive IRRs." For more information: http://www.CarolwoodEquities.com/ . 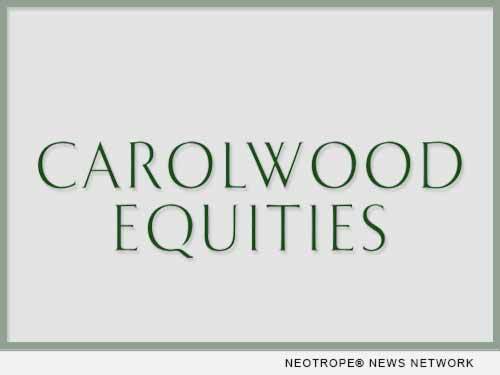 Carolwood Equities was formed in 2012. All start-up money was raised from outside investors. The firm's objective is to acquire a diverse portfolio of investment-grade assets ripe for repositioning through tailored renovation, attractive financing and focused management. Los Angeles-based, the firm also operates offices in New York City and Charlotte, N.C.